Keen to build web applications for the cloud? Get a quick hands-on introduction to OpenShift®, the open source Platform as a Service (PaaS) offering from Red Hat®. 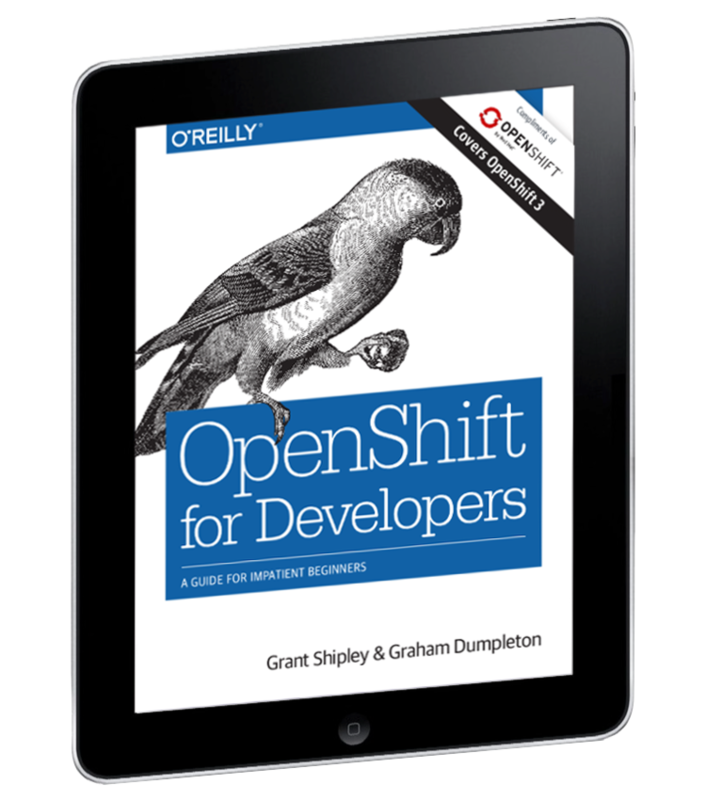 With this practical guide, you’ll learn the steps necessary to build, deploy, and host a complete real-world application on OpenShift without having to slog through long, detailed explanations of the technologies involved. Grant Shipley is a Senior Manager at Red Hat focussed on cloud technologies. He has over 15 years of software development experience with Java and PHP. Grant also contributes to open source projects and builds mobile applications. Graham Dumpleton is a Developer Advocate for OpenShift at Red Hat. He’s an active member of the Python software developer community and the author of mod_wsgi, a popular module for hosting Python web applications in conjunction with the Apache HTTPD web server.